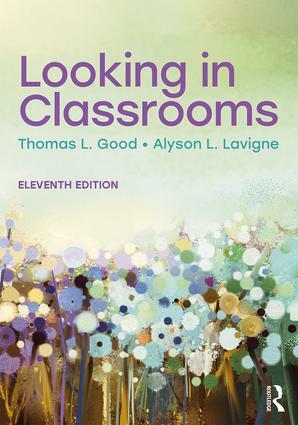 Looking in Classrooms uses educational, psychological, and social science theories and classroom-based research to teach future classroom teachers about the complexities and demands of classroom instruction. While maintaining the core approach of the first ten editions, the book has been thoroughly revised and updated with new research-based content on teacher evaluation, self-assessment, and decision-making; special emphases on teaching students from diverse ethnic, cultural, class, and gender-identity contexts; and rich suggestions for integrating technology into classroom instruction. Widely considered to be the most comprehensive and authoritative source available on effective, successful teaching, Looking in Classrooms synthesizes the knowledge base on student motivation, classroom management, teacher expectations, teacher effectiveness, adaptive instruction for individual learners, and informative observational techniques for enhancing teaching. It addresses key topics in classroom instruction in an accessible fashion, promoting easy intepretation and transfer to practice, and articulates the roles of teacher-centered pedagogy, student-centered instruction, and project-based learning in today‘s classroom. Guided by durable historical knowledge as well as dynamic, emerging conceptions of teaching, this text is ideal for undergraduate teacher training programs and for masters-level courses for teachers, administrators, and superintendents.